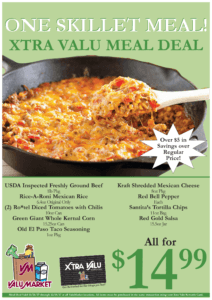 ValuMarket’s Weekly Xtra Valu Meal Deal! ALL OF THESE ITEMS INCLUDED! 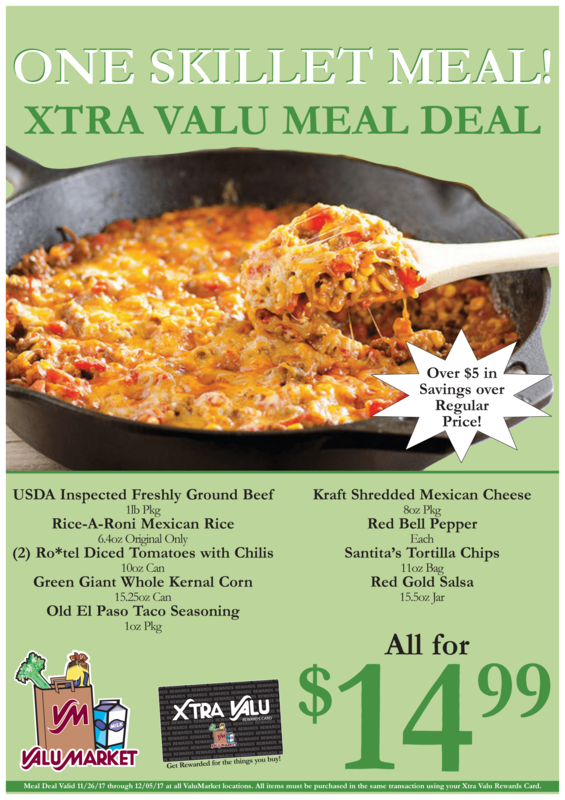 Meal Deal Valid 11/26/17 through 12/05/17 at all ValuMarket locations. All items must be purchased in the same transaction using your Xtra Valu Rewards Card.